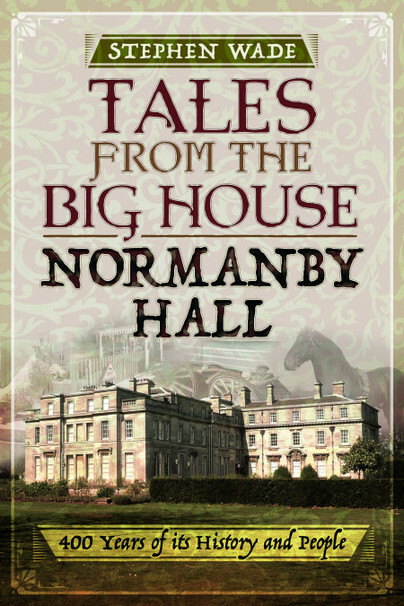 You'll be £14.99 closer to your next £10.00 credit when you purchase Tales from the Big House: Normanby Hall. What's this? Tales from the Big House: Normanby Hall tells the story of a place known perhaps today mainly as the home where Samantha Cameron grew up, but historically it has been the seat of the Sheffield family, whose most famous member was arguably the Duke of Buckingham in the seventeenth century. As with most country houses, the Hall was used as a military hospital in the Great War, and in the Second World War there were military personnel based there again. It stands just a few miles from the great steelworks on the Brigg Road, which have always defined Scunthorpe, so it played its part in the history of steel-making also. The book includes biographies of the famous but also tells of the lives of the ordinary people who kept the house and the estate going, from the gamekeepers to the gardeners, and the cooks to the stable hands. All this is set against the social background through the centuries of its existence, up to the sale of the Hall to Scunthorpe Borough Council in 1964. 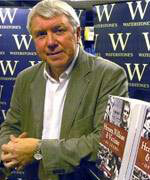 The lives familiar to us today from Downton Abbey and similar family sagas are at the heart of Stephen Wades history. But along the way, the reader will meet such characters as Sir Berkeley Sheffield, model railway enthusiast, Walter Brierley, architect, Thomas Sumpter, the schoolmaster, John Fletcher, machine-maker, and perhaps most charismatically of all, Lady Arthur Grosvenor, an expert on gypsy caravans. It will come as no surprise to my many friends and readers of Books Monthly that I am no fan of the Camerons; it is the house and its history and its stories in which I was chiefly interested, and I tried to ignore the fact that Samantha Cameron was involved with it. This is the other side, the very pricate side of Downton Abbey, a fascinating look at people with pedigrees far longer than hers, and with far more interesting lives and stories to be told than hers. ★★★★★ A very good read and I'm only half way through it. Author seeks to tell of its place in social history as a country house of the Sheffield family and include biographies of family members.